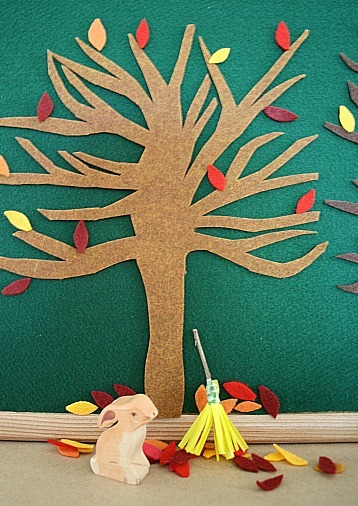 A simple felt play scene for fall! Attach felt to a felt board for plenty of imaginative play time. Teach kids about the changing of the seasons with this activity.